The AAPOA 2017 membership dues are currently being collected. We had over 300 members last year and have close to 200 right now. Have you sent your dues in yet? If you were a member in the recent past, Pete DeFina just sent an email reminder to you. If you haven’t joined in a long while, or ever, please make this the year you join. The dues are $55 if you own a home or $25 if you own a lot. The dues haven’t gone up in 11 years. For that small amount we maintain all the hiking/skiing trails in the Acres, the tennis court and the lake area. The amenities are only for the use of our members. We just completed a beautiful pavilion at the lake which is also available for the use of our members. I ask you to consider joining the AAPOA. You won’t be sorry. A membership form is at the top of this website under the Owners’ Resources banner. Let this be the year with the largest membership we have ever had! Thank you. Have you paid your 2016 AAPOA dues? Just a friendly reminder that AAPOA dues are due in January. A membership form was attached to your fall newsletter. If you no longer have the newsletter, you can print a form from this website. Go to the Owner Resource heading on top of the page and click on “Become A Member”. You should mail the form with your check to PO Box 8, AuSable Forks, NY 12912. 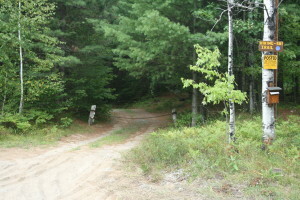 AuSable Acres amenities which include trails, tennis court, lake and picnic area are for members only. Upon receipt of your check, you will receive a membership card and car decal in the mail. Thank you to those who have already joined the AAPOA this year. AAPOA 2015 dues were due in January. If you haven’t paid yet, please download the membership form from the “Owners’ Resources” section on top of the website home page. Fill it out, include your check and send it to the AAPOA, PO Box 8, AuSable Forks, NY 12912. Thanks in advance. Our board elections will be held at our General Membership Meeting on July 4, 2015. There are three seats open for three year terms and one seat open for a one year term. That seat is currently held by Tim Mainzer. The other seats are currently held by Phil Dooley, Joe DeMarco and Paul Longenderfer. They have said they plan to run for reelection. Anyone interested in running for the AAPOA board must submit a short bio to me by email at president@37.60.251.185 or snail mail before March 31, 2015 so the bio can be included in the spring newsletter. If no bio is received, someone may be nominated from the floor at the July 4th meeting. The AAPOA board would like to wish everyone in AuSable Acres a healthy, happy 2015. We have lots of positive things to report but for now, just a few highlights. This spring we are planning to construct the LAKESIDE PAVILION for our members’ use. The foundation was poured last September. The plans will be reviewed by JLKN and then finalized. Thanks to your generosity, our fundraising is about $1,500.00 away from our goal. Donations will continue to be accepted and if we go over the goal, we will be able to connect electricity and water at the site. We hope to be able to add some picnic tables, too. You can include a donation with your membership dues. The membership form and Pavilion Donation form are both under the Owner Resources banner on the top of the website. Please send the pavilion donation form so your donation will be recognized on a plaque to be placed in the pavilion. DUES COLLECTION: AAPOA dues for 2015 are due in January. If you haven’t sent yours in yet, please do so this month. The form is on the website along with our address. Thank you for your support of the organization that helps to care for our piece of the Adirondacks. 2015 BOARD ELECTION There are three seats up for election at the General Membership meeting in July. They are currently being held by Joe DeMarco, Phil Dooley and Paul Longenderfer. All of them plan to run again and their bios will be in the next issue of the newsletter. There is one additional vacancy. Tim Mainzer is leaving the board in July and there is one year left to his term. We will elect someone to complete this one year term at the meeting. If anyone wishes to run for any of these seats, please mail a bio to me or send it by email (address on website) before March 31, 2015. Please specify if you are running for the three year or one year term. That’s it for now. There will be more news in a few days. Stay tuned.